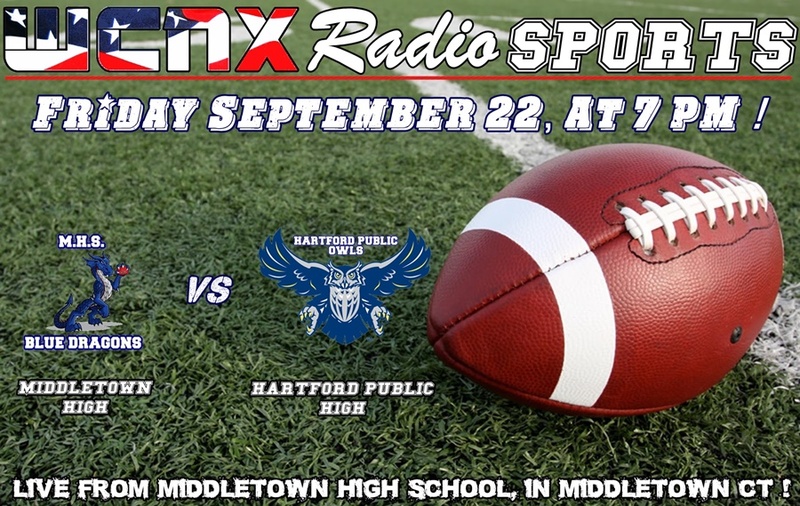 The Middletown Insider: Middletown High Blue Dragons Take on Hartford Public High Owls Tonight at 7pm! Middletown High Blue Dragons Take on Hartford Public High Owls Tonight at 7pm! 18th Ranked, Middletown High's Blue Dragons (2-0) are set to deliver a smashing to 98th Ranked Hartford Public's Owls (0-2) tonight, at Middletown High School at 7 pm. The game can be heard Live on WCNX Radio, at www.wcnxradio.com. If you can't be at the game, tune into support Middletown High!